It’s been nearly five months since I began working at Rainier Health & Fitness and I would be amiss not to feature it on my own blog. As stated in the tagline, the gym is dedicated to “encouraging healthy lifestyles, strong bodies and authentic community through an accessible and high quality fitness center.” What makes this place different from other gyms? At RHF we aim to foster community and racial reconciliation, emphasize overall health rather than bodybuilder appearance and offer our services at affordable rates. 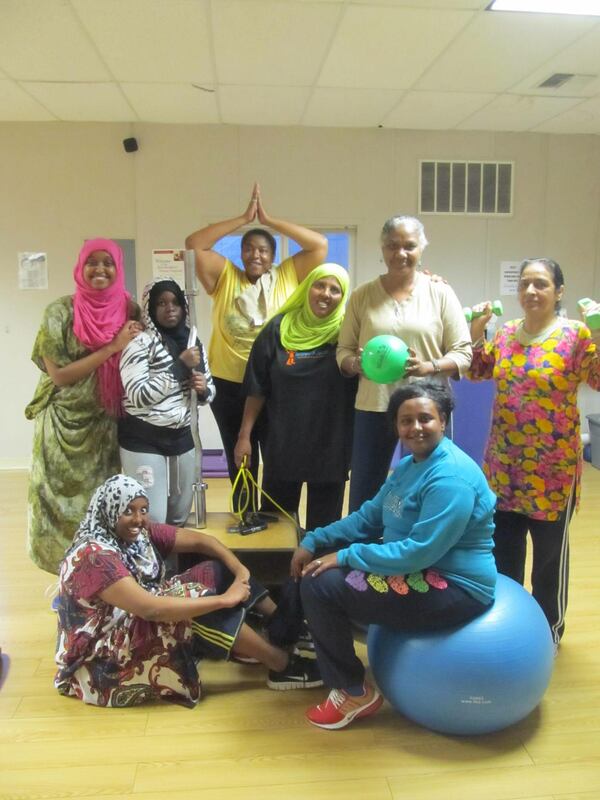 As an arm of Urban Impact, a faith-based non-profit dedicated to breaking cycles of poverty through community development, Rainier Health & Fitness is a social enterprise that aims to make quality fitness affordable for our neighbors. All of us on staff believe that God desires restoration and wholeness for creation, and a big part of that is physical health for humans. A major factor that keeps people in poverty, however, is lack of health. When people are unable to work, they and their families continue to struggle in the cycles of poverty. We simultaneously seek racial reconciliation that’s lived out in an authentic community, a purposeful intention of being located in the heart of one of nation’s most diverse zip codes. How do these ideals play out practically? RHF has reduced rates and a sliding scale so people with lower incomes can afford to sign up. They can alternatively volunteer three hours each week in exchange for membership. In order to keep the emphasis on health rather than appearance, the walls do not have mirrors on them. Twice a week, the classroom is curtained off for a “Ladies Night” so women can workout in a separate space from men (while many women from all backgrounds appreciate this gesture, it particularly appeals to women from East Africa). I love getting to be a part of this gym and community which lines up with my passion for community development and holistic health. Today I’m sharing a guest post about a social enterprise that’s taking off in India. This piece was written by a friend who does community development and lives in the slums of Kolkata. Ashadesh is a social business in Kolkata­­­­ that helps us take action. Many people in South Asia use charcoal to cook with, which causes respiratory diseases and death and also harms the environment. Why do they cook with dirty fuel? Because they have no choice. In order to get a gas cylinder hooked up, they need to pay a large up-front fee. After that, they can get ongoing government-subsidized gas for the long haul. Ashadesh helps people through the paperwork and subsidizes this up-front cost. After getting over this unjust barrier, they’re set. Unlike the poor, you and I have lots of choices. You and I can offset (make up for our environmental degradation/climate change) our carbon. This means roughly 5% of the price of a flight goes directly to help get gas connections for the poor at an affordable rate. By using clean fuel, the person using their new gas connection emits much less carbon, and thus offsets our carbon output, or footprint. The poor save time and money. The unjust system is overcome. Rich and poor partner together. This ethical business is prophetic in a culture of corruption and exploitation. The business will be completely handed over to locals within two years. And on top of all that, my teammate who runs the business, and his family, live in the very slum community where they do business. As they share life with their neighbors, they share struggles and hope in a very personal and contextualized way that makes sense and is tangible. Now, I don’t think it’s up to us to save the whole world, nor do I think we can do it overnight. But I want my actions to match my belief. I want to be a faithful steward of natural resources and a faithful neighbor to the poor who have less choice than I have. All businesses need investors. My dear friends, I cannot think of a more holistic, social enterprise investment than this. Will you join me as I offset all my flights and driving for work and leisure? Not out of guilty obligation, but out of joy, freedom and hope. Visit ashadesh.com.au right now to learn more and get involved.